Earlier this year, Jeff Gordon auctioned off his Corvette Z06 C7.R Edition to benefit the Jeff Gordon Children’s Foundation. The car, which was sold through Barrett-Jackson, raised $600,000 for the charity. Gordon must have figured that sale was a success, because now he’s selling his C6 Corvette ZR1 to benefit his charity. 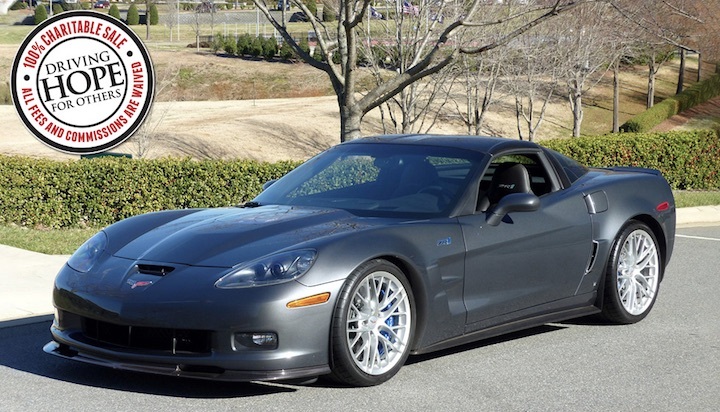 The four-time NASCAR Cup Series Champion’s C6 Corvette ZR1 was the fifth ZR1 built for the 2009 model year and one of 502 painted Cyber Gray. Gordon drove it just 815 miles in the 10 years or so that he owned it, so it’s definitely been well taken care of. As you probably already know, the C6 Corvette ZR1 was powered by the 638 hp 6.2-liter supercharged V8 LS9 engine and paired with a six-speed manual transmission. 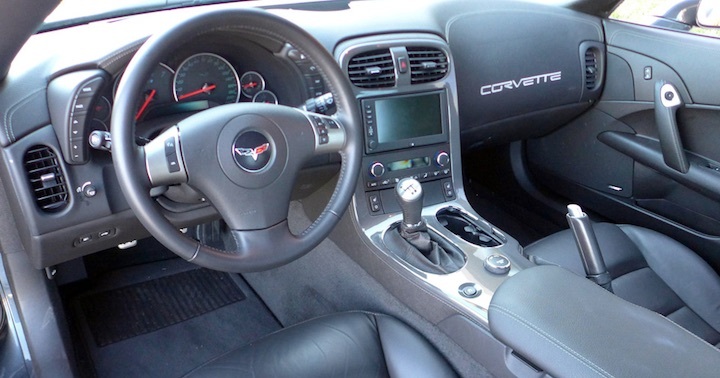 The Barrett-Jackson listing indicates this car is a six-speed automatic, but the ZR1 was never offered with an automatic, so you can bet that this ‘Vette has three pedals. Gordon’s charity, if you’re wondering, is a paediatric cancer foundation that “supports children battling cancer by funding programs that improve patients’ quality of life, treatment programs that increase survivorship and pediatric medical research dedicated to finding a cure,” for the disease, the charity says. Gordon’s 2009 C6 Corvette ZR1 will be sold at Barrett-Jackson Palm Beach 2019, which will be held from April 11th through to April 13th. Other notable General Motors cars to be sold at the Palm Beach event include a 1970 Oldsmobile 442 Convertible, 1980 Pontiac Turbo Trans Am Pace Car and our personal favorite, a 1996 C4 Corvette Grand Sport. Click here to view the full Barrett-Jackson Palm Beach 2019 docket and here for additional information and photos of Jeff Gordon’s 2009 Chevrolet Corvette ZR-1. Like this story? Be sure to Subscribe to GM Authority for more Chevrolet Corvette ZR1 news and NASCAR news. Why would anyone buy it. It’s 10 years old and outdated. Could you imagine if you were seen driving that hooptie? Cars should be upgraded every 2 years Max. Yet it’ll still beat anything you’ve ever had or will have. Don’t hate because you can’t afford it. He, along with Rick Hendrick and Jimmie Johnson took delivery of their 2009 ZR1s at the National Corvette Museum in 2008.